Ethnic Group Research Paper looks at a sample order that has specific questions to be answered, along with twelve different aspects of culture and ethnicity that needs to be in the paper. Paper Masters can give students suggestions on how to write a research paper on ethnic groups. An ethnic group Research Paper should be a sociological or anthropological look at a particular ethnic group. 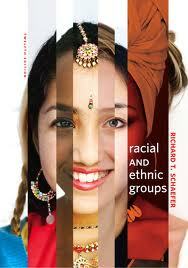 Each student should do an extensive paper on an ethnic group that is different from their own. Discuss why you chose this particular group. Use the 12 aspects of ethnicity listed at the bottom of this week page and discuss them thoroughly in the paper. Bibliography /Resources: Use references of sources written by people from the ethnic group you are studying. Interview: An interview with a person, or people from this ethnic group, whether face to face, or by phone, would be an important and valuable addition to this paper. Case Scenario: The student is to write a case scenario using their own work setting. The case scenario should describe a situation where a member, family, etc from the ethnic group you’re reporting on is involved. Describe the situation, and discuss specifically how to proceed, or intervene with this person /family in a culturally competent manner. (Integrate what you’ve learned from your three texts in this section) Provide for the reader and class a positive solution /ending with your action plan. Identify the ethnic group that you yourself belong to or identify with. Then do a compare and contrast of your own ethnic group with the ethnic group you are researching about. You can use the 12 aspects of ethnicity as a framework for comparison. Finally, discuss what you have learned about yourself both personally and professionally from this writing assignment /project. Ethnicity denotes the differences of various racial groups along the lines of cultural traits, biological make-up and sociological characteristics, or race. However, due to its primordial or innate tie in certain ethnic groups, various identifiers cannot be left out of the description of ethnicity. One example of an ethnic group that has the overall grouping under one name yet represents culture and diversity far beyond a simple ethnic label is the Latino culture. Mexican, Puerto Rican, Cuban or Dominican all are of Latino ethnic origin but their identity and backgrounds remain far too individualistic to ever be grouped solely under one label. For example, the political battles that Cuba has endured for Centuries are filled with outside influences that have scarred Cuban culture and forced members to identify with chaos and political unrest. In stark contrast, while Mexico has experienced its own form of governmental upheavals, a greater sense of stability has been established over the Centuries of Mexican autonomy in the governmental system. Thus the ethnicity of the two countries is the same but their history, which builds the foundation of ethnicity and social identification, is vastly different. Without taking all factors of a culture into mind, ethnicity cannot be properly determined or understood. Having traveled extensively in both Florida and California, I have experienced several different Latino cultural phenomena. The strong sense of pride and hope my Cuban friends had for the future of Cuba reflects an ethnicity on the verge of coming into itself. They realized their country had not yet reached its full potential, as the many years under Fidel Castro were still a recent memory. In contrast, my Hispanic friends in California had a deep sense of cultural heritage that seemed to imbibe a feeling of ancient ethnicity grounded in social stability. From a very young age, people express a need to connect with their surroundings, their heritage. Part of the reason is an innate (primordial) yearning to know how they are related to those around them and the other part of the need know where the family started and how that beginning ties them to the world outside. The benefits of knowing where your heritage began are innumerable, the least of which being the mode by which a foundation is set for socialization which enables a smooth transition into coexistence within a secondary community - the one’s city, state and global community. Ethnicity is a critical part of each person’s identity; the very quilt within which individual self esteem is woven. Insisting on ethnic distinction is common for most cultures, including Americans as well as Latino, Orientals, West Indians and Europeans. Every culture is filled with traditions, values and norms that can be traced back many generations. With this knowledge it is understandable why it is imperative to recognize the differences among various ethnic groups. Accepting a blanket label removes the unique culture of a group and minimizes their struggles, triumphs and joys in the formation of their ethnic heritage. Social Group Interaction Patters: Intragroup (within-group relations) and Intergroup (between-group relations). Cultural Awareness - For younger persons, including those of college age, persons of many different ethnic and racial groups are seen in TV programs and movies. Oppression - Social oppression targets groups of persons and oppresses. Concept of Race - Get help with your term paper on race from Paper Masters! Paper Masters writes custom research papers on Ethnic Group Research Paper looks at a sample order that has specific questions to be answered, along with twelve different aspects of culture and ethnicity that needs to be in the paper.